Hot Spring colors bouncing around with these lovely polka dots. Lime green, hot pink and yellow gold colors make this bow sizzle with fun. 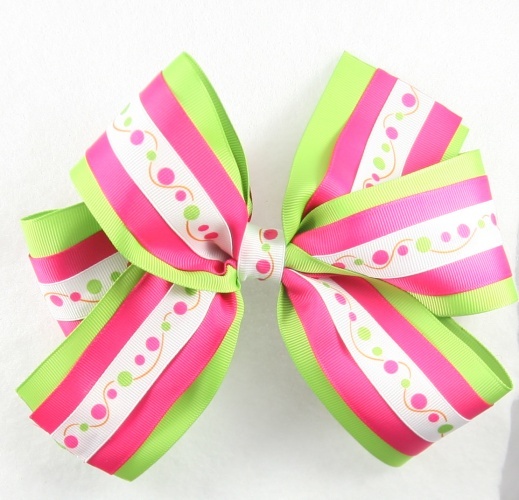 A 2.25" lime green bow is layered with a 1.5" hot pink grosgrain ribbon. On the top is a white grosgrain ribbon that has matching lime green and hot pink polka dots mixed with some yellow gold swirls. What a lively bow!